The IT Krew: What is a Motherboard? In personal computers, a motherboard is the central printed circuit board (PCB) in many modern computers and holds many of the crucial components of the system. The motherboard is sometimes alternatively known as the mainboard, system board, or, on Apple computers, the logic board It is also sometimes casually shortened to mobo. 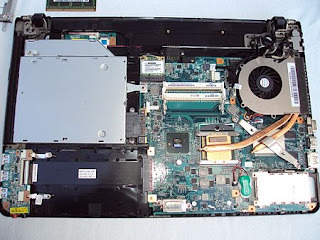 A motherboard, like a backplane, provides the electrical connections by which the other components of the system communicate, but unlike a backplane, it also connects the central processing unit and hosts other subsystems and devices.